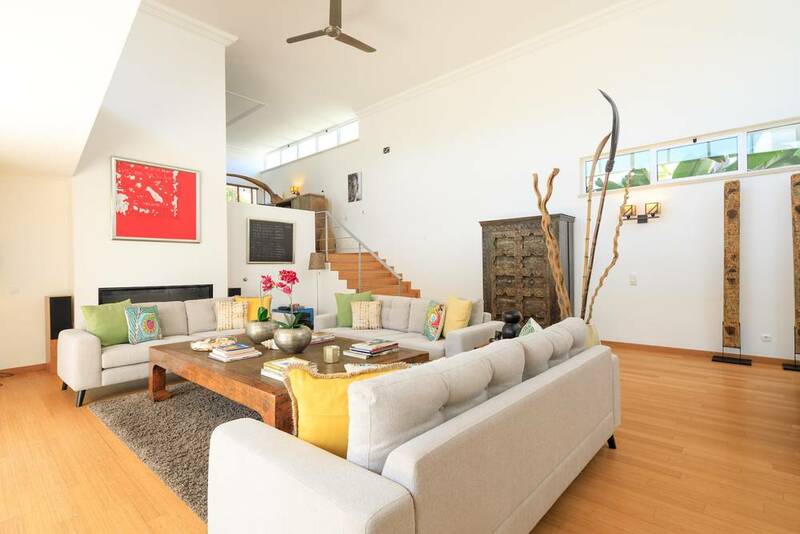 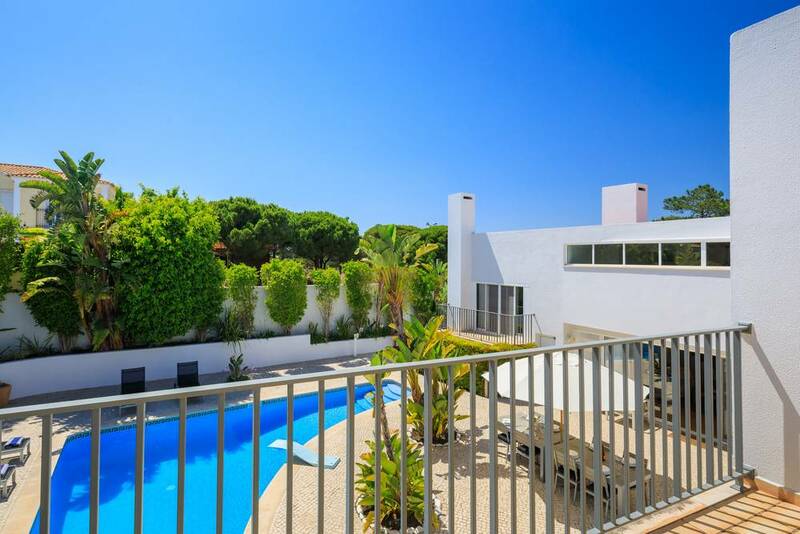 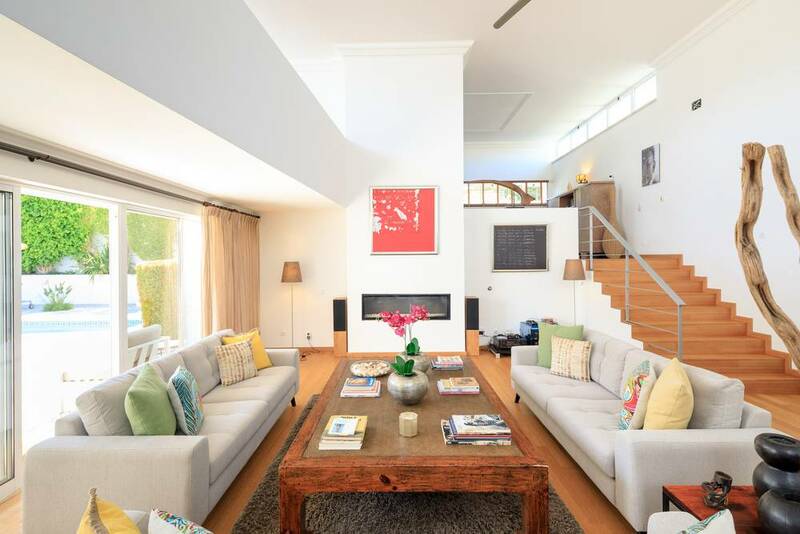 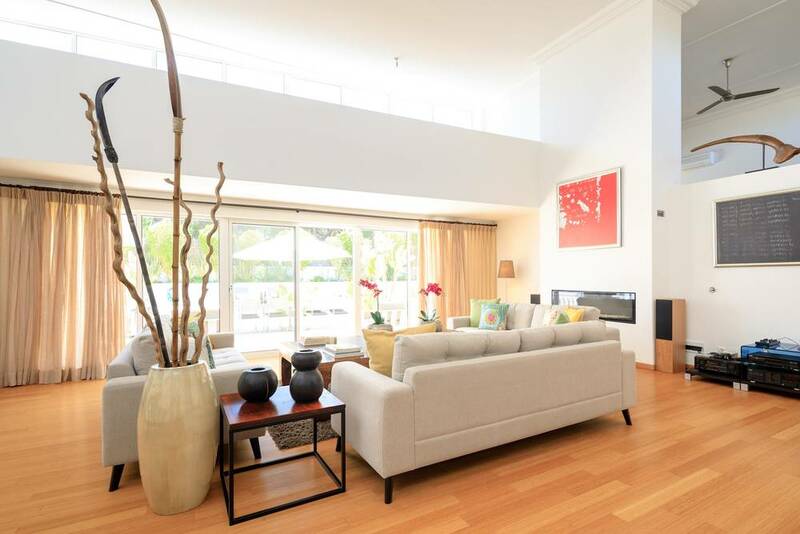 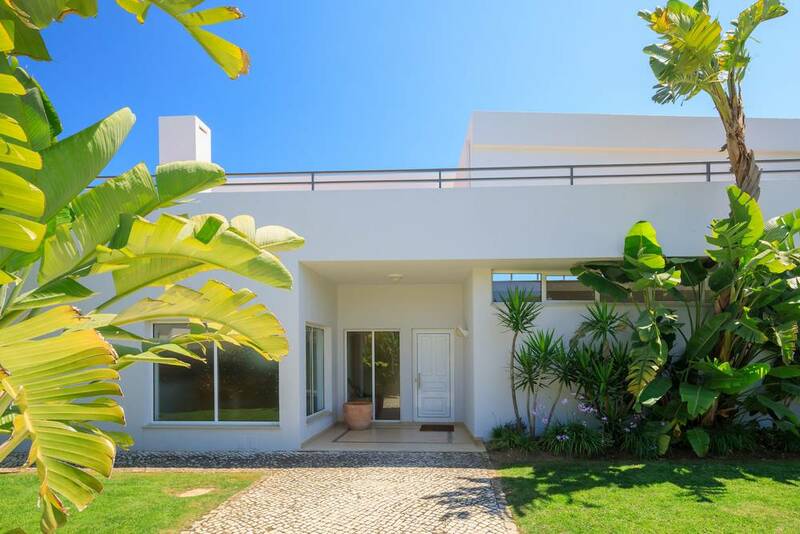 A modern, well-appointed 4-bedroom golf villa located in Varandas to Lago. 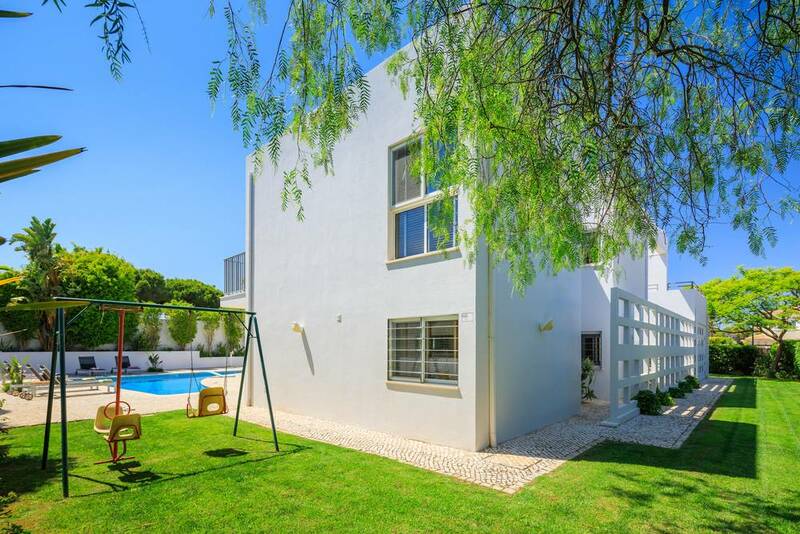 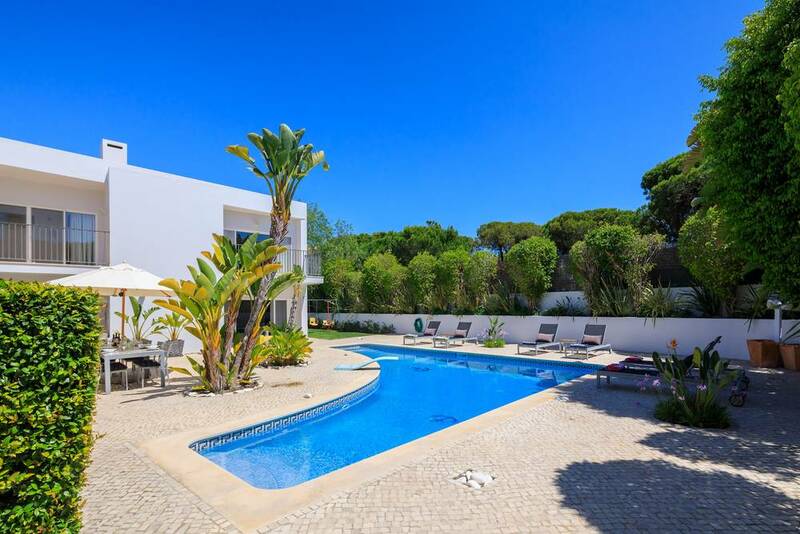 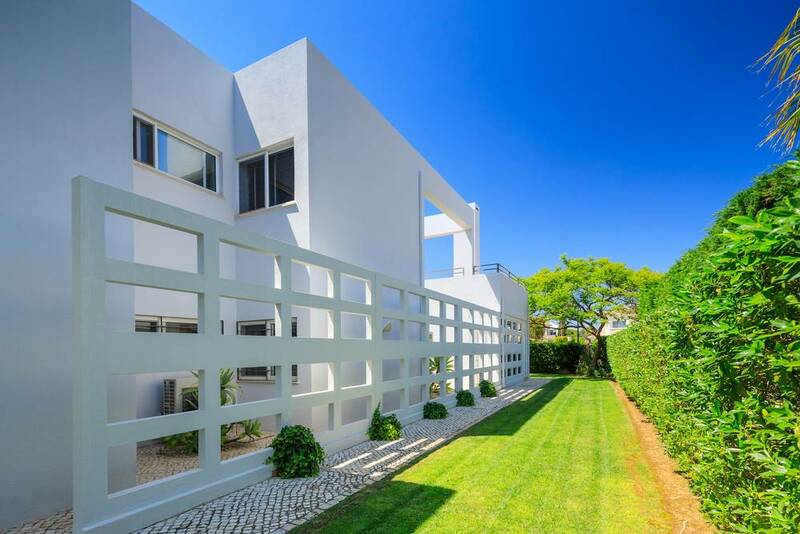 This astonishing villa has all the essentials and more that you will require for a fantastic holiday in the Algarve. 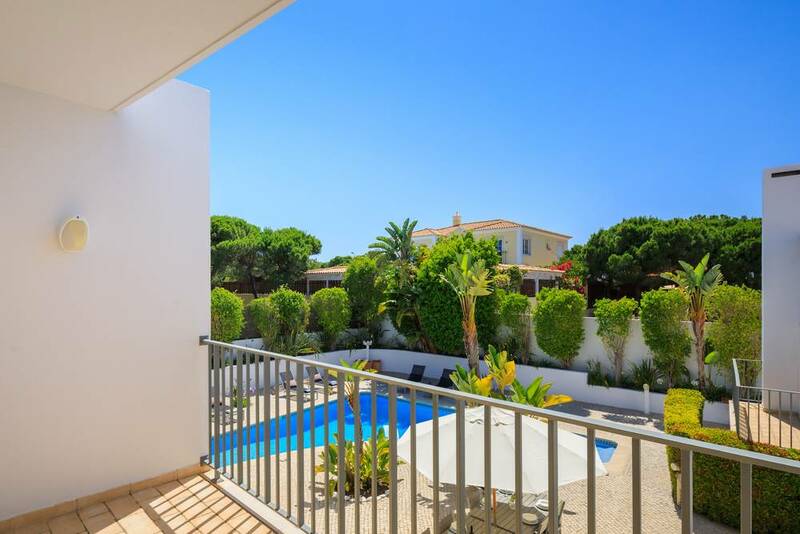 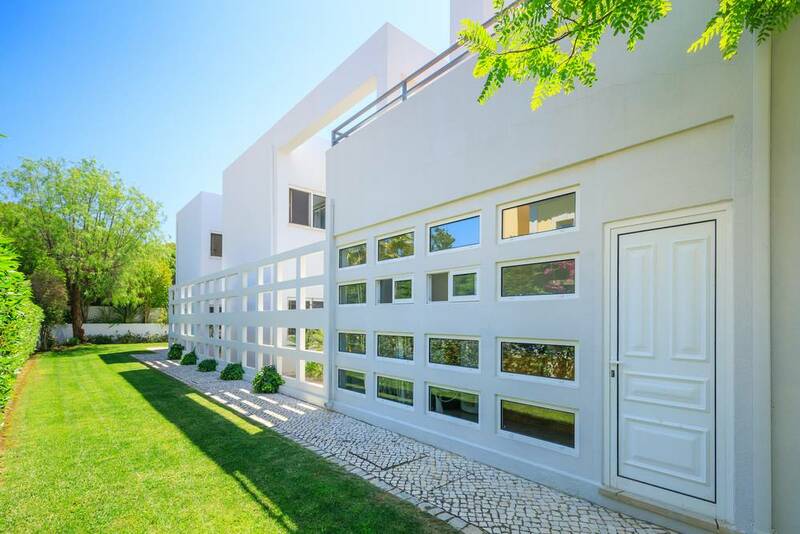 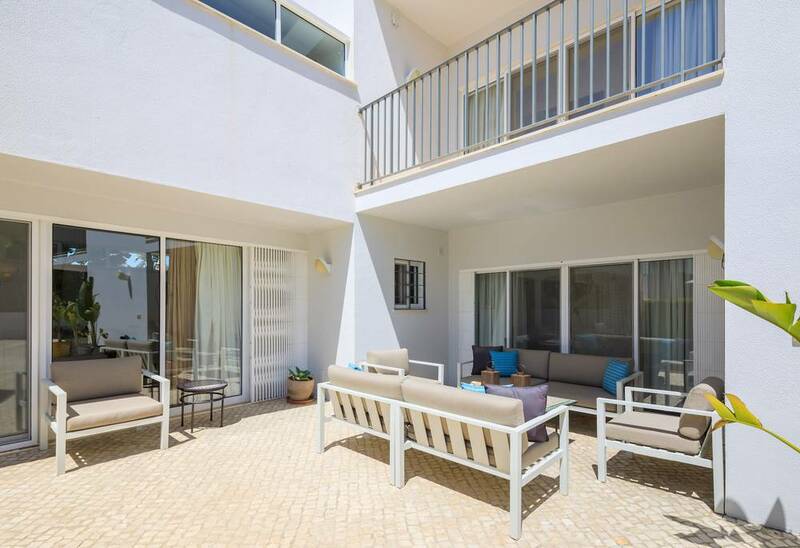 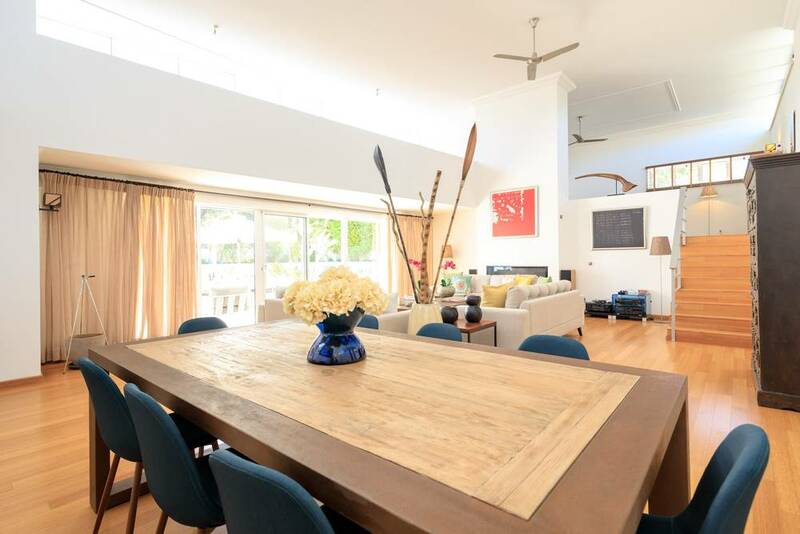 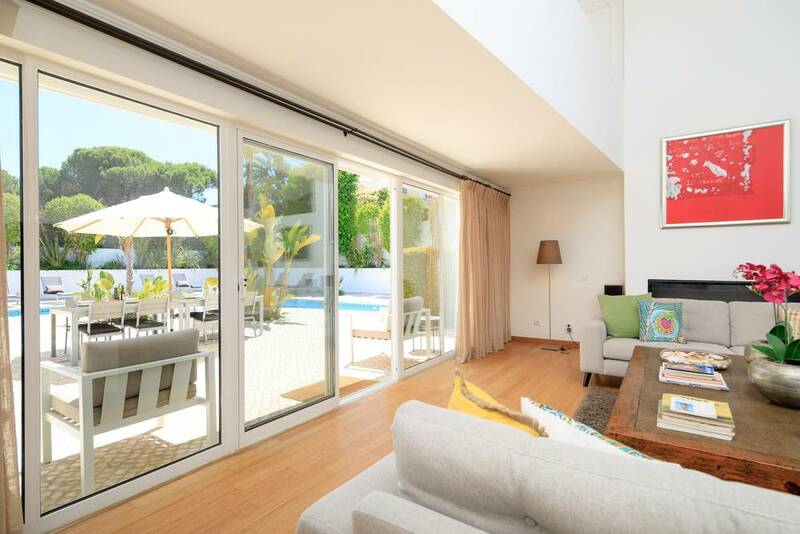 Varandas do Lago is a relatively new development that is ideally located in the heart of the `Golden Triangle` between Vale do Lobo and Quinta do Lago, just a few minutes from the beautiful beaches and renowned golf courses of the area. 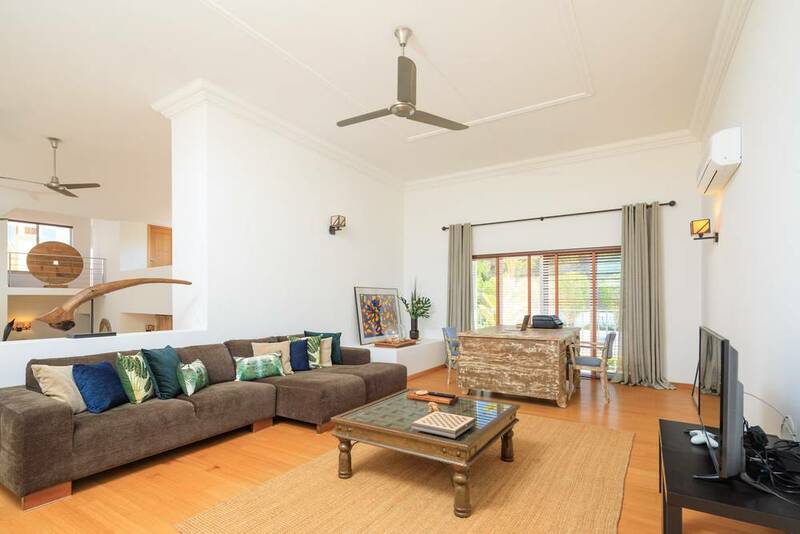 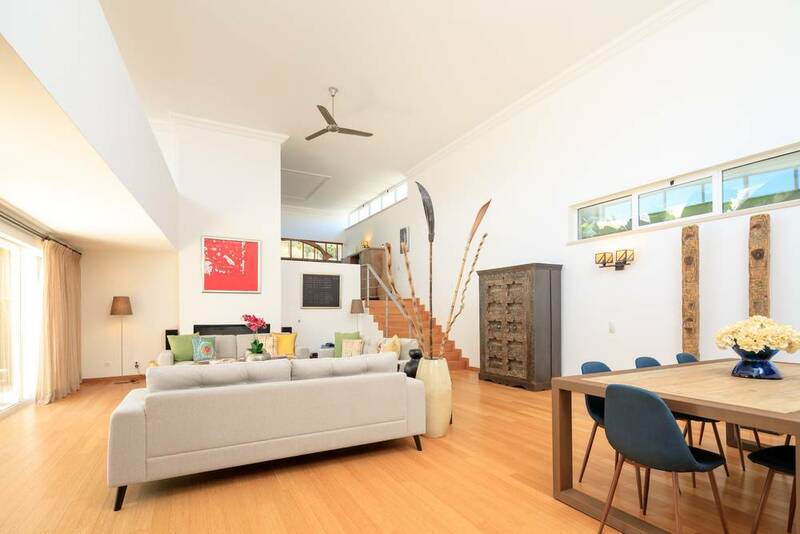 This property comprises a magnificent open plan living concept on a split level with a gas fireplace and access to a south facing terrace. 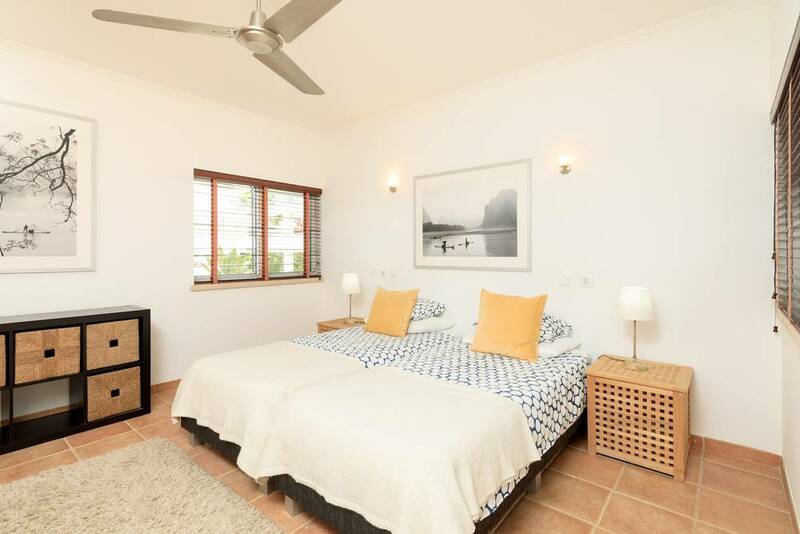 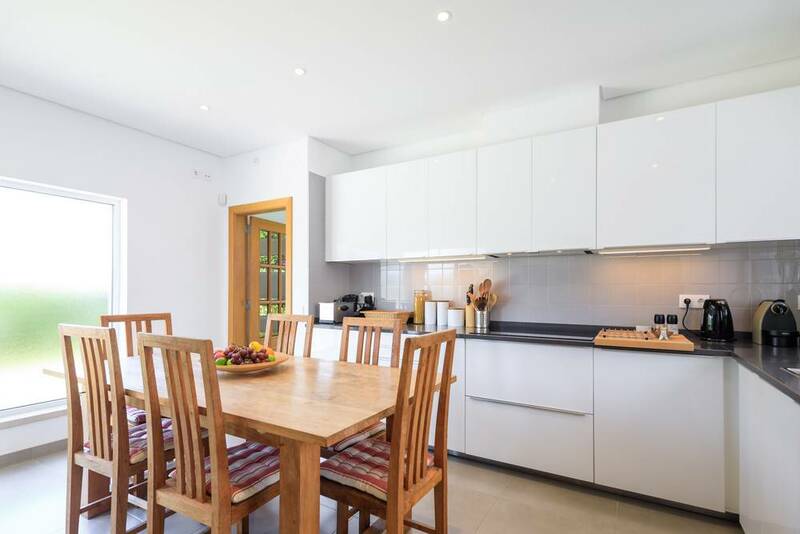 Also on this floor, there is a fully fitted kitchen equipped with Bosch appliances, it also includes a breakfast area and a laundry room with access to the exterior, a cloakroom and 2 bedrooms. 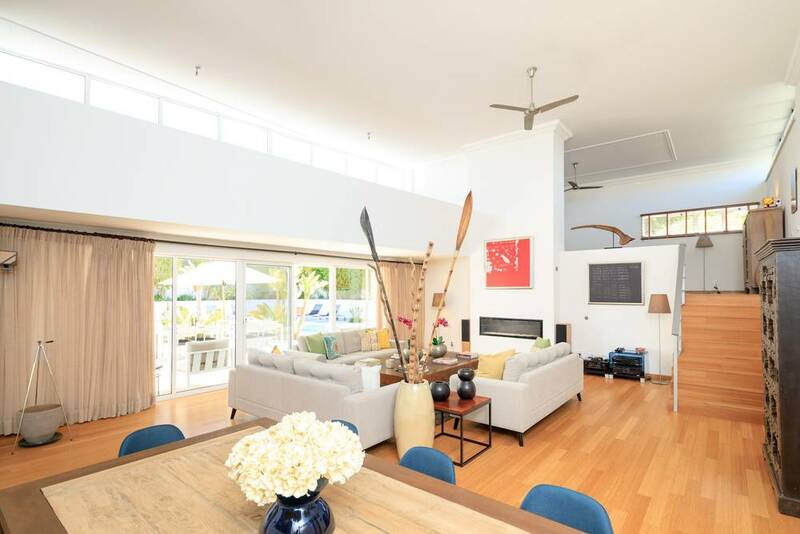 The lounge area is captivating, the incredible lounge and dining area is full of natural light, the area is bright and welcoming which overlooks the stunning exterior of the property. 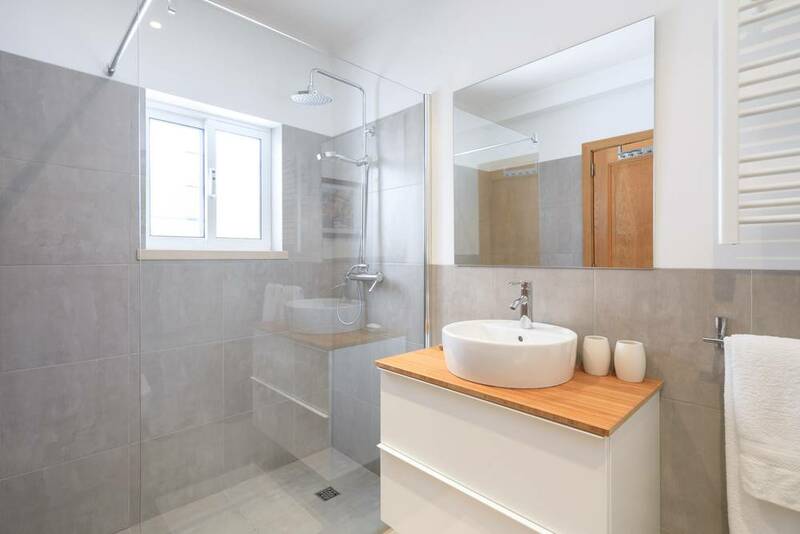 Both bedrooms are en-suite with heated towel rails, include fitted wardrobes and one of which has a view towards the pool. 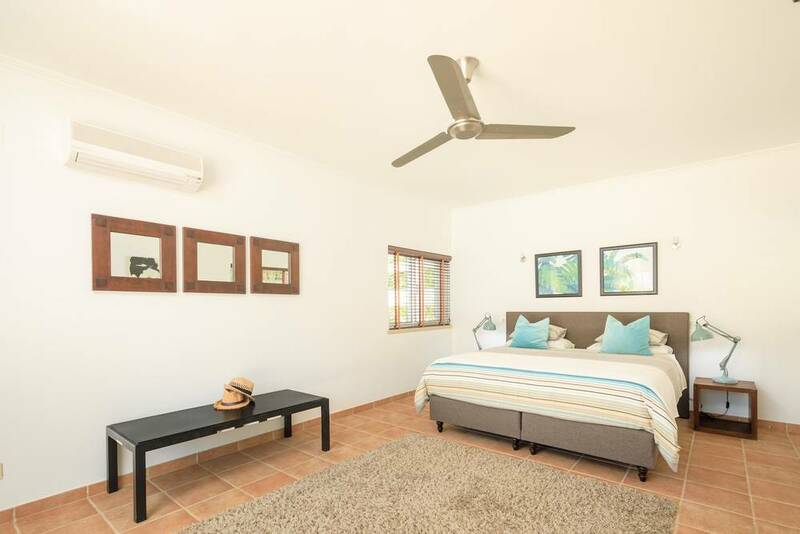 The remaining 2 bedroom suites are located on the first floor. 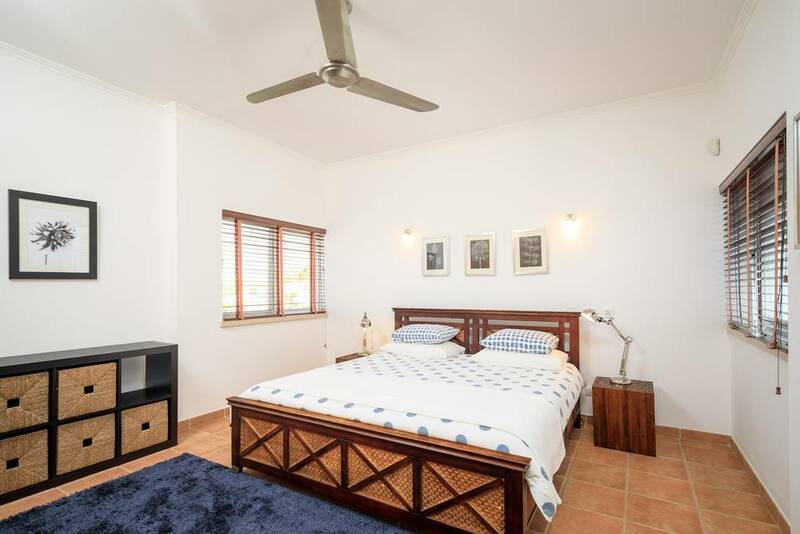 The master bedroom features a dressing area and a private terrace overlooking the pool and garden. 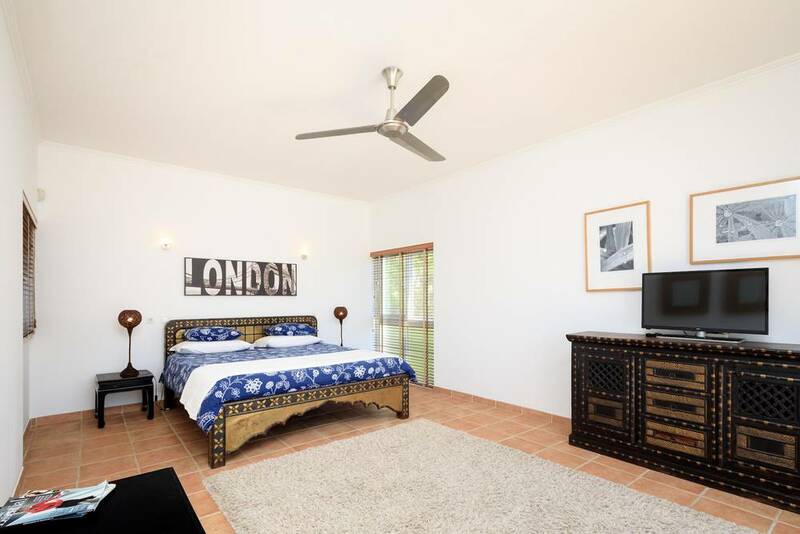 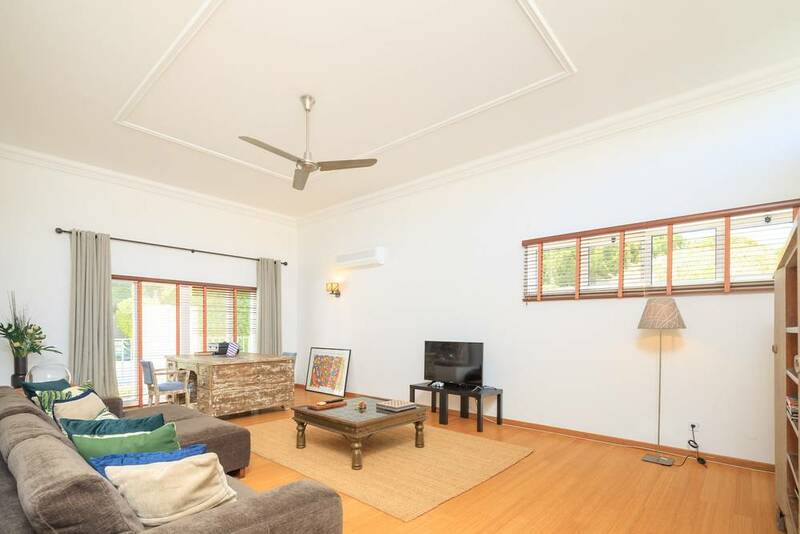 This villa has A/C in the bedrooms, in the lounge there are ceiling fans. 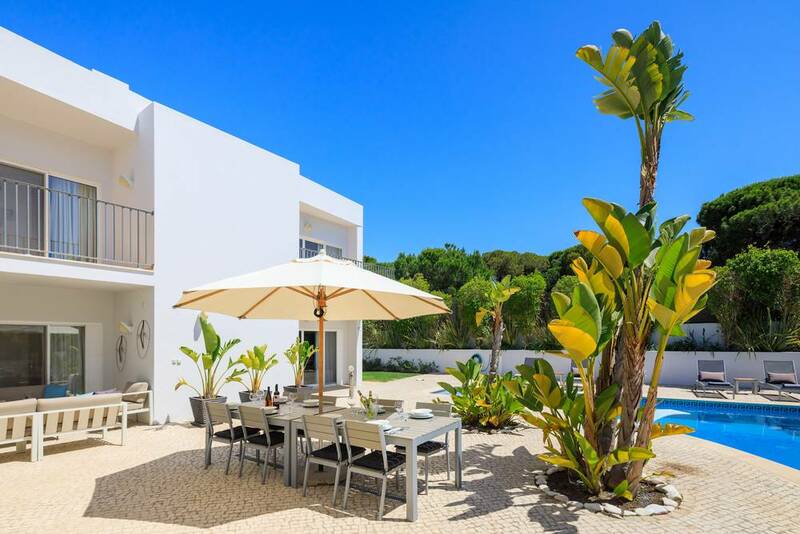 Villa Sunrise is truly a fantastic modern villa. 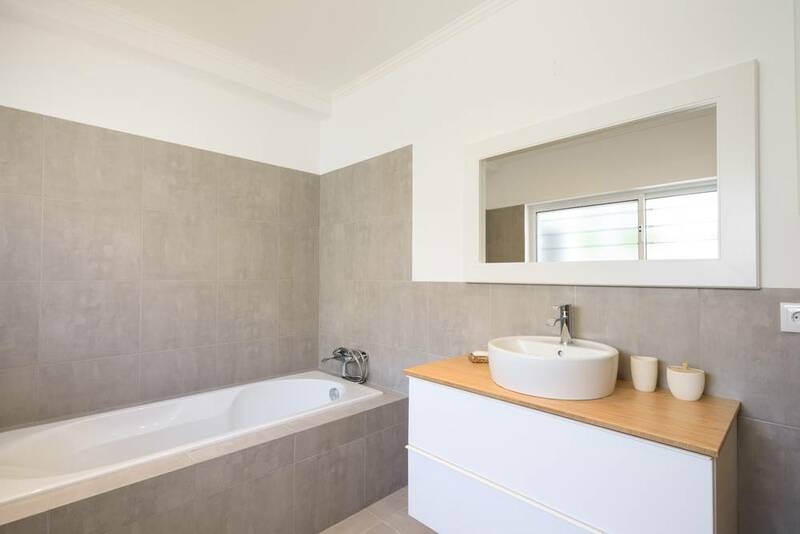 We had an amazing time. 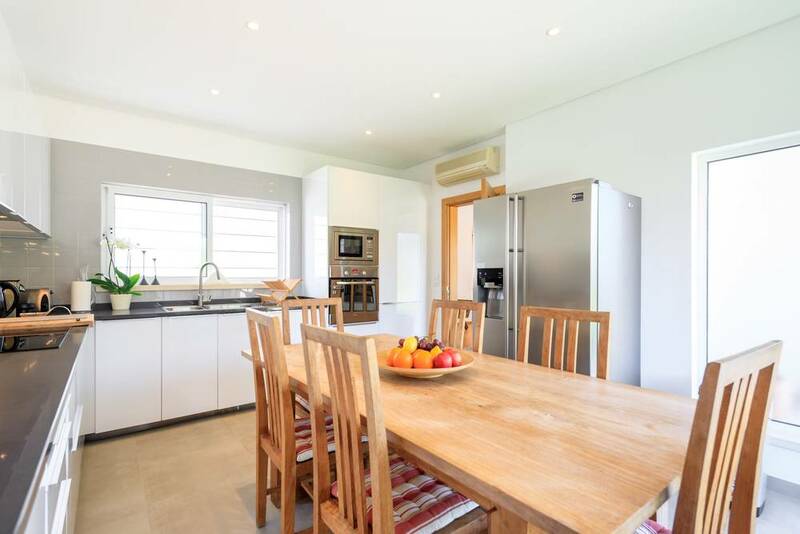 Blue Sky Villas were amazing throughout our stay and during the holiday booking. 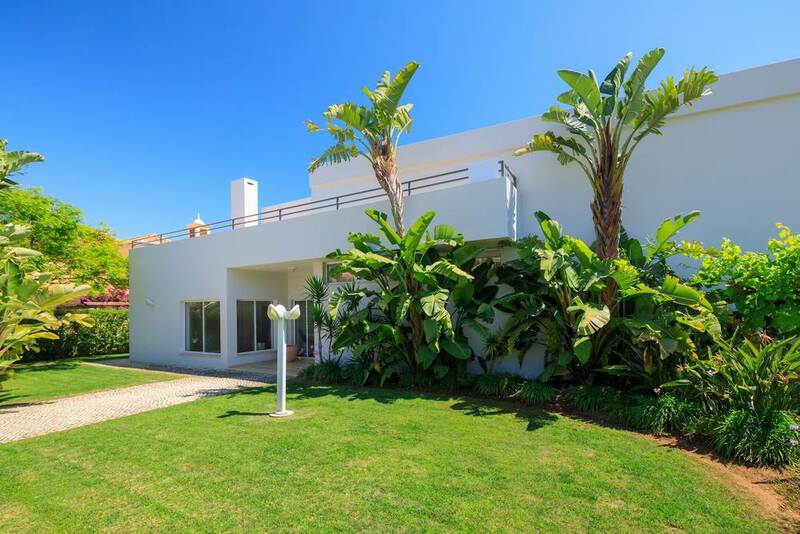 The exterior of the property is truly a wow as described. 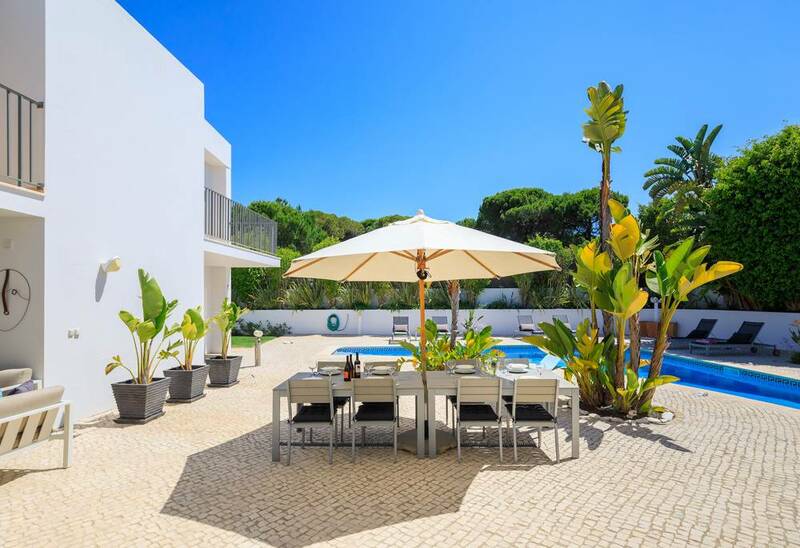 Booking this villa as your holiday choice will not be a disappointment.